DEAR PAPERLICIOUS: Hand Drawn Happy Day! Added a sentiment from The Stamp Market and teeny stars from Concord & 9th, which are covered with Nuvo Crystal Drops. MOOD WHEN DONE = Fun! Version four looks perfect to me! 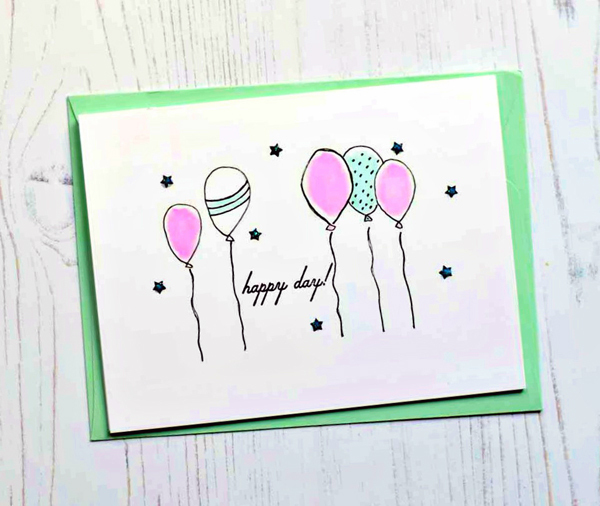 What a fun new twist on card making you've embarked upon. I love it!